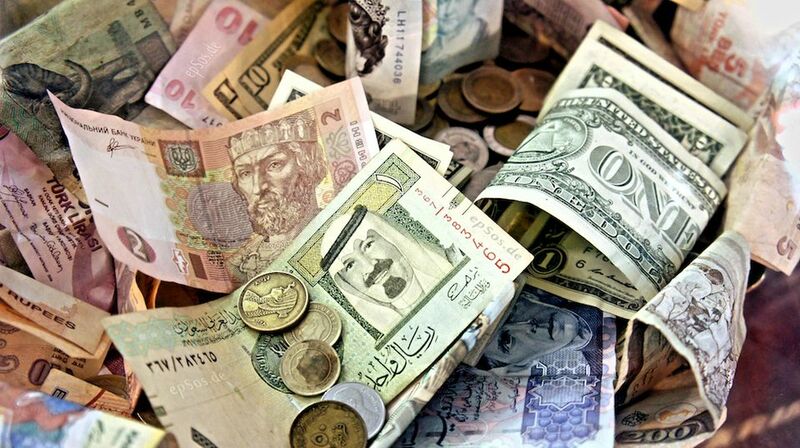 Are you looking to turn foreign currency into American dollars to spend on your trip? Or maybe you have American dollars that you want to convert into a foreign currency before you return home or travel elsewhere? Here's what you should know. It is typically recommended that you use an ATM to withdraw money from your checking/savings account once you arrive in NYC. You'll find that this offers you the best exchange rate and convenience. Traveling with large amounts of cash is not terribly safe or wise. I personally appreciate the security that making purchases with my credit cards provides and find getting cash at ATMs is well worth the fees that might be incurred. There are banks every few blocks in the city, or you can find ATMs in many bodegas. Exchanging your foreign cash or Traveler's Checks for American cash can easily be done at Currency Exchange Offices and many of New York City's larger banks. Some hotels even have currency exchange offices in their lobby. Check with your hotel concierge for the nearest exchange office. Some currency exchange offices offer free (or inexpensive) buy-back programs. Even with popular chains, you will probably have to do the buy-back at the location of the original transaction in order to get the favorable rate. It often makes sense to exchange in bulk - commission rates often decline as the amount of money exchanged increases. If you are traveling with cash to exchange, I'd suggest trying to do it as few times as possible over the course of your trip so that you don't pay more in fees than necessary. Do call ahead to confirm that a particular branch will be able to accommodate your type of foreign currency. If you're looking to buy foreign currency, plan ahead, as many banks can accommodate you, but might need a day or two to get the type of bills you need. You can find the current exchange rates published daily in the New York Times and the Wall Street Journal. You can also check current exchange rates online. iPhones also have a great currency exchange app named XE Currency App. You can find it in your App store. Exchange rates are typically better once you get into the city than they are at the airport currency exchange locations, but you might find getting your cash exchanged more convenient at the airport locations.